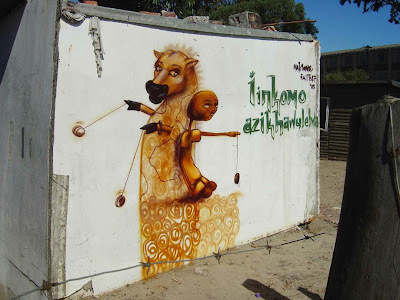 Write on Africa is an initiative brought to us by Word of Art productions – working together with established as well as up and coming graffiti artists and painter alike to create beauty in otherwise not so beautiful places. But here’s the catch, they don’t just do it for their own praise, but also to inspire others and have develop impoverished communities. 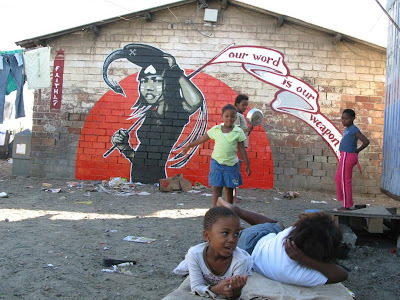 Write on Africa was started in 05 to support the sometimes vilified art form of graffiti. Showcasing deserving and spectacular work to help change the stereotypically negative view some may have on graffiti. 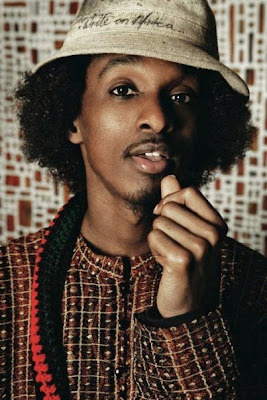 This initiative touched me for the way in which they create platforms for artists as well as opening up doors that some people may have never known were even there. 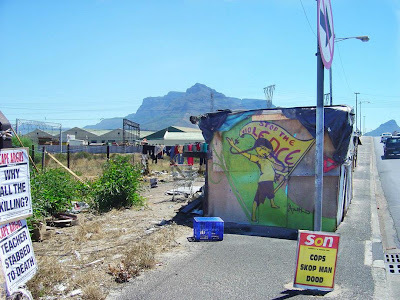 Their vision is about creative inspiration and urban rejuvenation through special events, initiatives and Art in public space – If you’ve ever been to a township you’ll fully understand how thirsty for beauty the streets are, you’ll fully appreciate what a project like this can do to quench those parched roads. All Write on Africa initiatives are documented and exposed internationally on the website. I’m itching to get involved.